To me, bread pudding is the perfect dessert for people who don’t like to bake. And the lemon curd recipe from King Arthur Flour makes this recipe a non-bakers dream! Have you ever make lemon curd? When I started looking for recipes to try so that I can learn how to make it, I found that there are different variations. It’s the easiest thing in the world, you guys. When you decide to make this bread pudding, you’ll want to make the lemon curd first so that you can give it some time in the refrigerator to thicken up. It will still be a little runny after microwaving it. I think I refrigerated mine for six hours before I used it. I know it might seem like a hassle to have one extra thing to do before you can even start making the bread pudding, but that lemon curd recipe is really as easy as they come. Besides, don’t you want to know how lemon curd is made? All you need is 1 cup fresh lemon juice, 1 cup sugar, 1/2 cup unsalted butter, and 2 large eggs. Once you have those ingredients, go to King Arthur Flour for the Easy Microwave Lemon Curd instructions. You’ll also have some leftover after you make this Blueberry Lemon Curd Bread Pudding to use on other things like crepes, on a cheesecake, or in fresh fruit tarts. I suggest making it at least once, and if you find that it’s too much trouble then buy it at the store. Or, just leave it out of the bread pudding. You don’t even have to use it if you don’t want to. Use as much or as little as you want. That’s another great thing about bread pudding. Once you get the basic ingredients, ratios, and method down, it’s so easy to customize. Not only is it easy, but it’s also kinda fun to watch bake because it practically doubles in size when it’s in the oven. Just when you think it’s about to spill over, it’s done! Even the icing can be as simple as buying the premade frosting jars at the stores. However, if you have the extra time, I highly recommend making it yourself because it is super easy to make. Cream cheese icing pairs beautifully with this blueberry lemon curd bread pudding in case you were wondering. When you’re all done, and everyone has had a slice, store the leftovers in the fridge. There’s a good chance you’ll have leftovers because this recipe makes three cakes using 9″ round cake pans. I bought the ones pictured here at the 99 Cents Only Store in a set of three. You can always reheat it in the microwave the next day. I think I reheated a slice for 10 seconds? ‘Tis all for now. I hope you try it and let me know how it went. And remember, don’t be afraid to change it up a bit. I think next time I’ll make some with cinnamon and vanilla bean. In a large bowl, combine half & half, eggs, and vanilla extract with a hand mixer. Grease three 9" round cake pans with oil spray or butter. 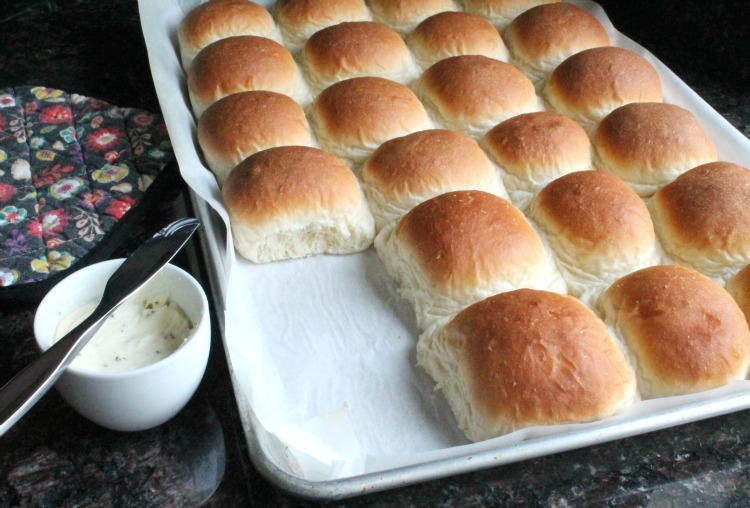 Cut bread rolls into bite-sized cubes about 3/4" (no more than 1"). Add first layer of bread cubes to each pan making sure to fully cover the bottom of the pan. Lightly spoon lemon curd over bread cubes (about 1/3 cup for each pan). Fill pans with remaining bread cubes, followed by 1/2 cup frozen blueberries for each pan. Use a large ladle to evenly pour mixture over bread cubes, taking turns after each pour until all the mixture is used. Meanwhile, gently press bread cubes down with a large spoon to submerge them completely into the mixture. Can be made with a variety of dry breads.